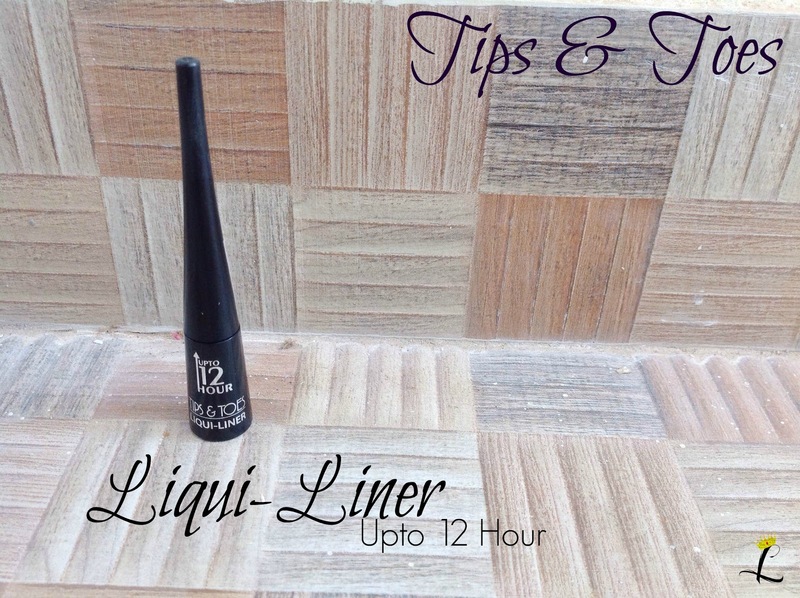 So, recently Tips&Toes sent across their latest launch, the Liqui-Liner. 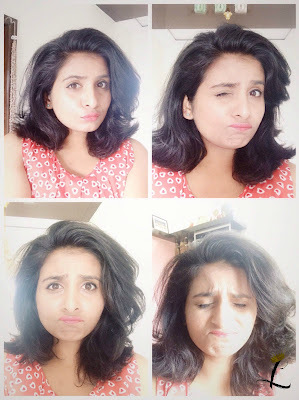 I have been using it for a week now and here is the review. The product comes in this nice black packaging, the kind that has a long wand and a small bottom. Me likes. It doesn't leak, so there's no spillage. Win. I'll start with the wand. It has very, very fine bristles at the tip which you can pretty much miss and confuse for plastic. Its very fineness helps line eyes precisely. All you girls with shaky hands and clumsy blood, here is your savior. *rises hand*. 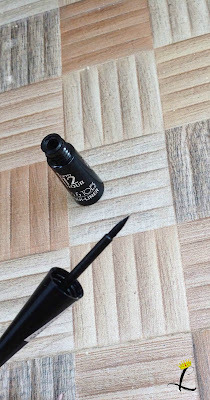 But well, it does take a little practice if you are new to lining with super fine-ty because most of the applicator(?) part is plastic and it is easy to end up with a thick line if you are not careful. But it's no rocket science, I promise. The lines can be made super fine to built up to your need. I change the thickness of my eyeliner very often so this is perfect for me. 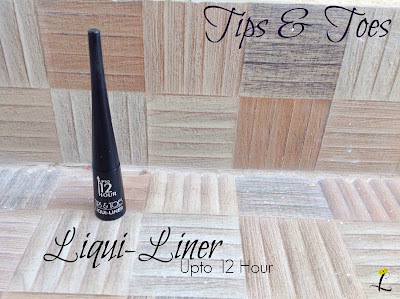 Wings or cat eyes, fine lines or just a constant thick line, this wand is perfect to up your eye makeup game. It is water proof. Like 99.99%. You see, I am pretty lazy and almost never use makeup remover. I prefer washing off the makeup with soap and warm water. This baby doesn't budge, though. I say 99.99% because very vigorous rubbing will peel it a little, but it will still not go away. And you should NEVER rub so vigorously. I am not even kidding you. I have tried washing it away with warm water + mild face wash AND warm water + soap. Nope. It stays perfectly put, much to my happiness and mild irritation. The irony :D. There is absolutely no smudging or bleeding. 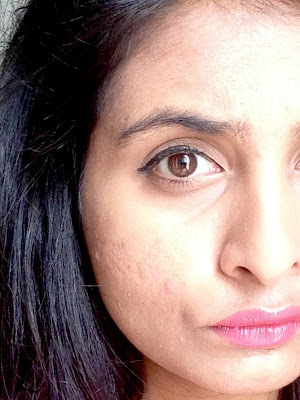 I use Lakme Absolute Bi-Phased Makeup Remover to get it off my eye lids. A couple swipes timed for like five seconds each on my eye lids will get this off. You can even use plain old coconut oil or baby oil, no issues. About the 12 hour claim, well. I am an extremely fidgety person and keep rubbing my eyes. 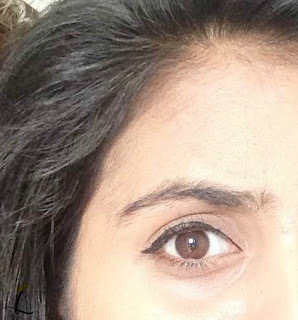 I have the habit of touching my face and eye area. I end up with panda eyes if I use random kajals :D This eye-liner stays on me all day and braves my antics. Love. If there was one thing I didn't like, its the bristle part. I wish they were a little longer so I could avoid the plastic-y part touching my eye lids. Other wise, I absolutely love this. It retails at Rs. 400/- for 3.5 ml. Should last me a month to 6 weeks, on regular usage. Here are some photos I clicked for you. Notice the fine line near the core? And the thickness otherwise? Pretty easy to achieve with this baby! 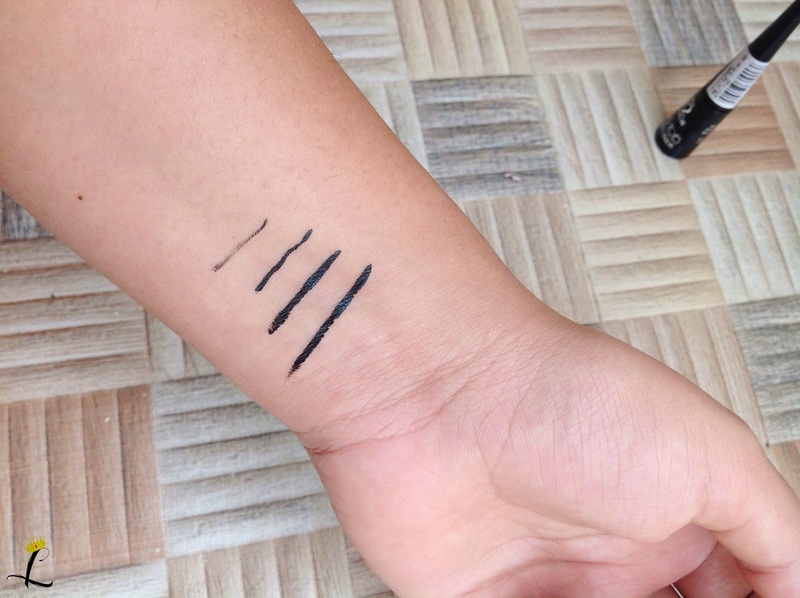 On my scale, its a 4/5. The wand is, #SMHEverSoSlightly. The eyeliner is available in all drugstore houses. You can also order online. PS: The product was sent by the PR for review purposes. My review is honest, hand on heart.